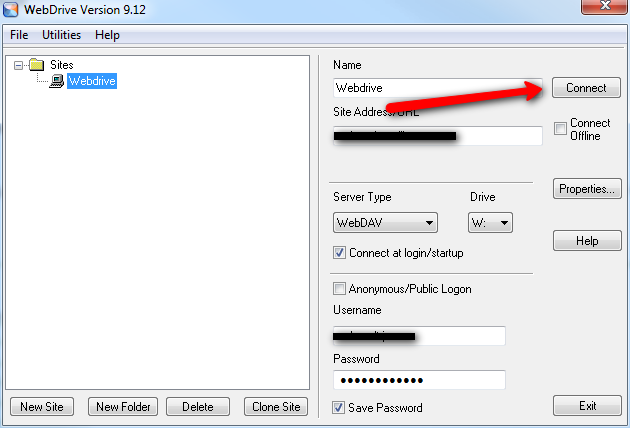 This tutorial briefly illustrates how to disconnect your WebDrive file share, which is normally mapped to your W:\ drive in windows. You must disconnect and reconnect your Webdrive, if for example, you have edited or updated your webdrive settings as any changes will only take affect when you reconnect. 1. 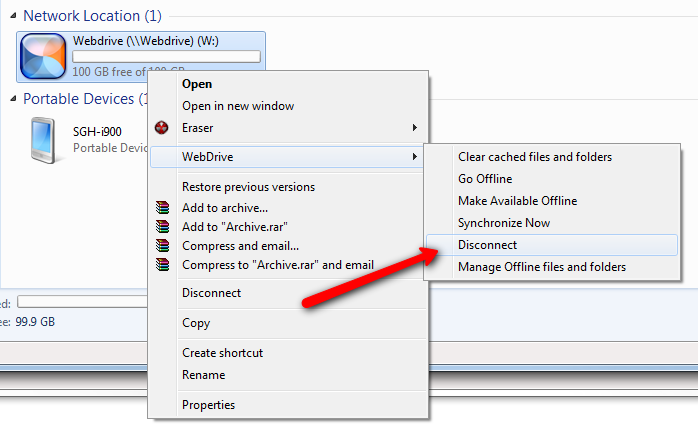 If you are already connected to Webdrive, using the Windows File Explorer, or My Computer, right click on the root W:\ Webdrive drive icon as shown. Choose the Webdrive sub-menu, and then choose Disconnect. Your W:\Webdrive will be disconnected. 2. To reconnect your Webdrive internet file sharing, open Webdrive from your desktop icon or from the Windows Start/programs menu, and from the main screen click Connect. If your internet connection is available, you will now be able to access your W:\Webdrive files and folders.